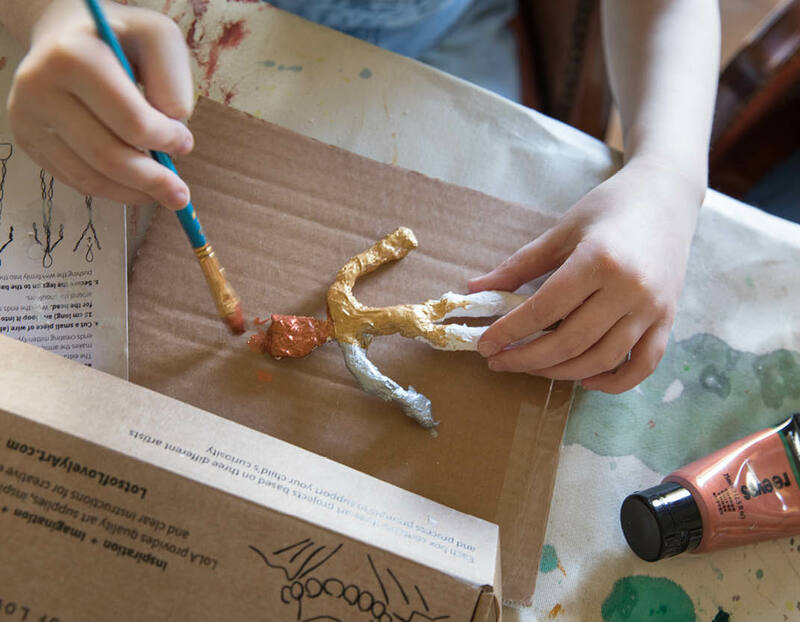 The Lots of Lovely Art box contains three artist-inspired projects, four process-art ideas and quality materials to enable children to be independently creative at home. Can’t wait? Take me to the shop! Lots of Lovely Art boxes provide a magical art box full of great supplies for children of all ages, bringing a regular experience of art and artists into their lives through the letterbox. If you fancy just trying it out, buy a single box for a one-off creative experience. 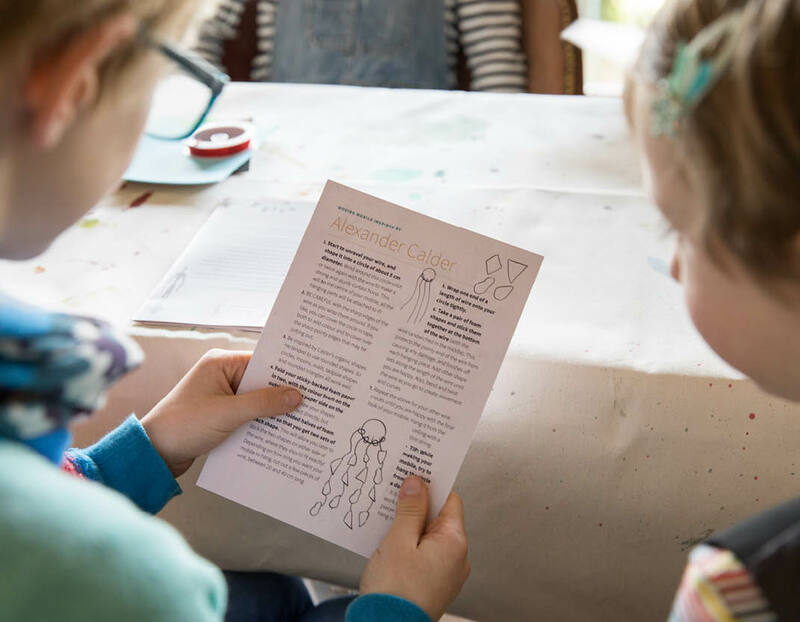 Or sign up for a 3, 6 or 12 month subscription and receive fun and engaging art projects delivered every month to your door. Each box celebrates an overall art theme with three relevant artists to inspire and enhance creativity! 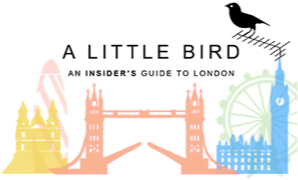 We include LoLA recommendations – from books and videos, to the relevant artists in an exhibition, museum or gallery. Budding Picassos open their beautiful boxes to find exciting art projects, supplies and inspiration to keep their artistic juices flowing for a month! 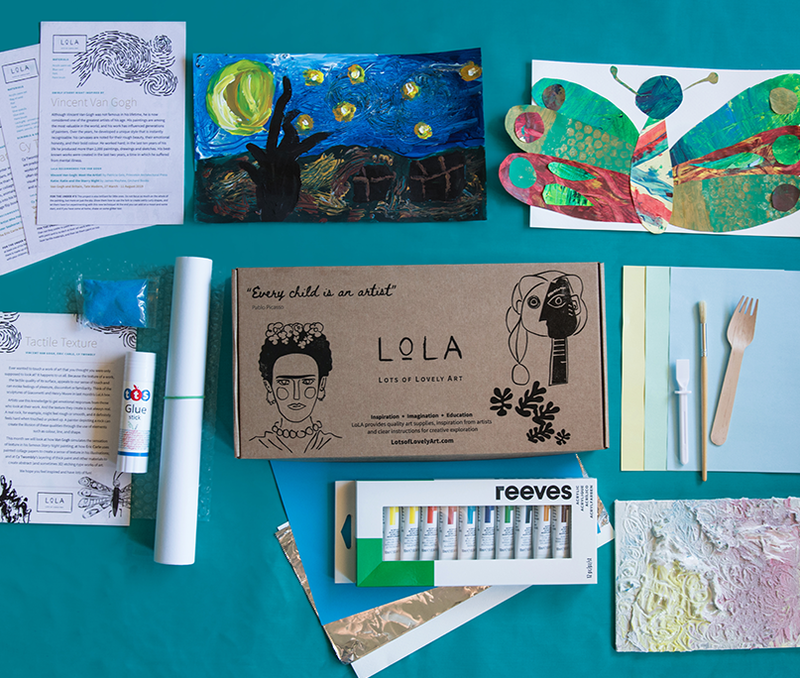 Each box contains three artist-inspired activities and four creative process ideas. 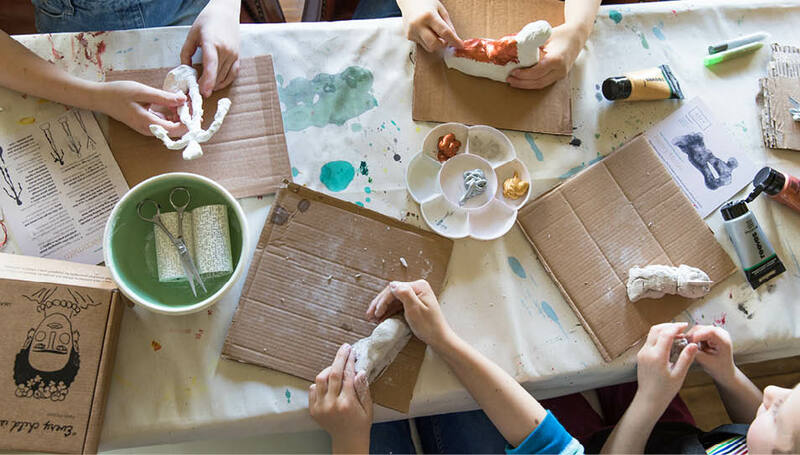 Art projects are aimed at girls and boys age 4-12, with tips on how to adapt each project for under 4s. Lots of quality art materials are included, a generous amount for one child with leftovers to build up your art supplies at home. 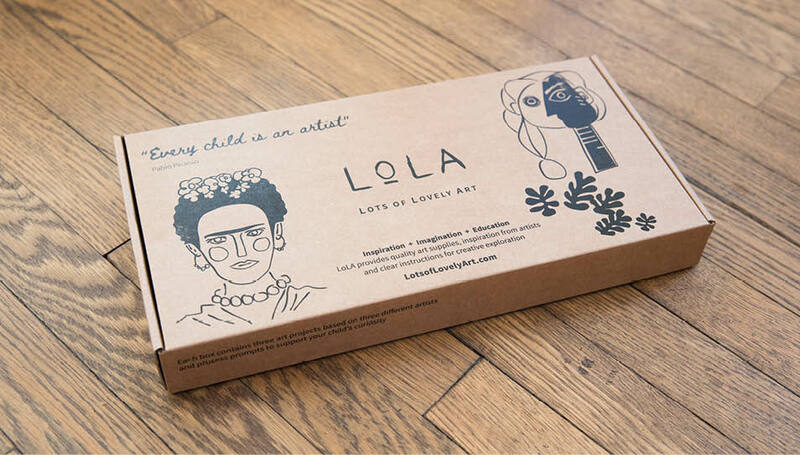 Subscribe for art projects every month with LoLA boxes! Fun art projects and lots of quality supplies, delivered directly to your door. 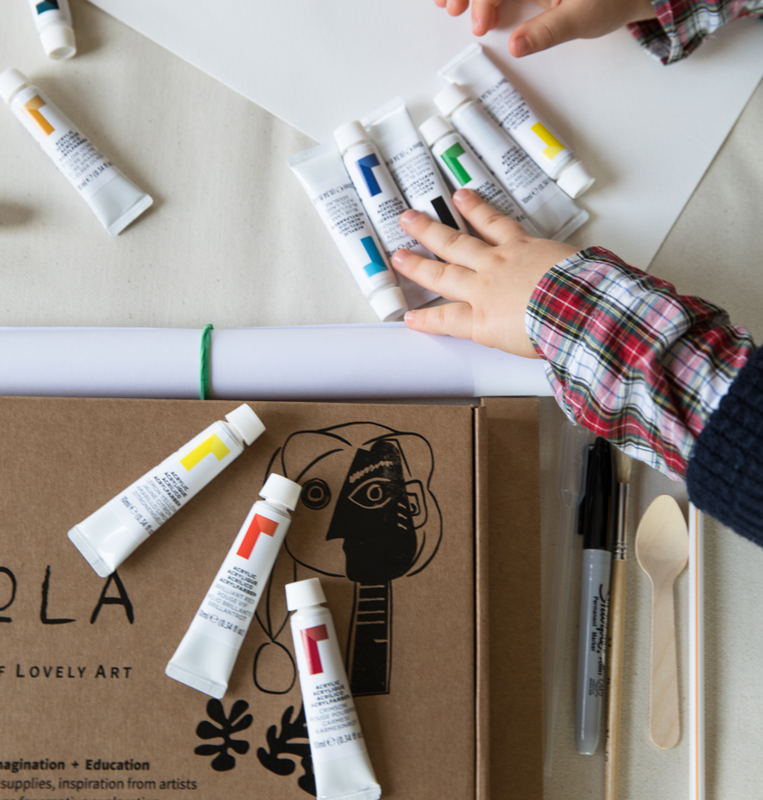 Subscribe for 3, 6 or 12 months to LoLA boxes (age 4+) or LoLA Little Ones (age 3+), simply enter your child’s age on checkout. Sign up for 3 months before 1st July 2019 to receive a children’s art book for free! You'll love the Little People, Big Dreams Series! Sign up for 6 months before 1st July 2019 to receive 15% off your subscription! Use code 6MONTH15 on checkout. 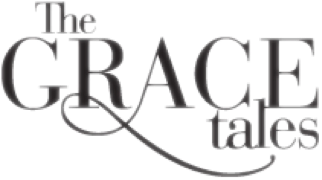 Sign up for 12 months before 1st July 2019 for 20% off your subscription! Use code 12MONTH20 on checkout. You will find three leaflets on three different artists. Each contains background information on the artist, as well as clear and simple instructions for an art project. Each box also contains a leaflet describing the month’s overall theme (for example, Shape, Portraits or Colour) and four process-led art ideas. “LoLA recommends” lists suggested reading and visits to see the relevant artists’ work in museums, galleries or exhibitions. Tips on tailoring the projects for children aged under four are also included. An art box makes a great gift! An original, fun and educational option for Christmas or children’s birthdays. With the tissue wrapping and surprise little gift inside each box, it feels as if you are opening up a special present every time! 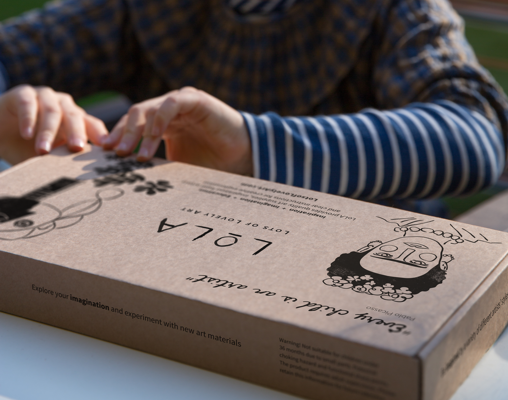 All boxes include a handwritten personal note addressed to the recipient. Buy two Lots of Lovely Art boxes and receive £5 off your order. Use code TWOBOX on checkout. Create art-activity parties for children of all ages with Lots of Lovely Art boxes. Party guests can dress up as Frida Kahlo or Picasso, take home their wonderful creations and also enjoy their own box of art supplies as a ‘party bag’! Buy five or more boxes and we will send you two additional boxes for free! 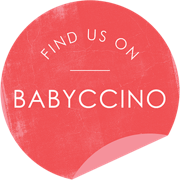 Recommended as one of the favourite Arts & Crafts activites, LoLA is front and centre on Babyccino’s top craft list. “I admired the clever way famous artists had been woven into the themed materials.” says Francesca from A Little Bird. 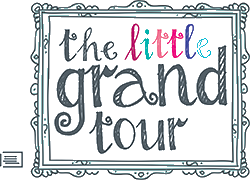 Watch this space to see an exciting partnership forming with our friends at The Little Grand Tour. Each box has its own art-based theme (for example, “Portraits”, “Colour” or “Texture”). Where possible these are linked to exhibitions in galleries and museums. They introduce children to fantastic artists with open-ended art projects. Children learn about art history and art techniques through artists and the different ways they work. The boxes include clear, simple instructions to help start children off and to give them the confidence to be independently creative. The projects encourage children to experiment and to explore the use of new art materials… and to have fun! As well as the three main art projects, each box contains a selection of theme-related, process-based art ideas to further stimulate their imagination. 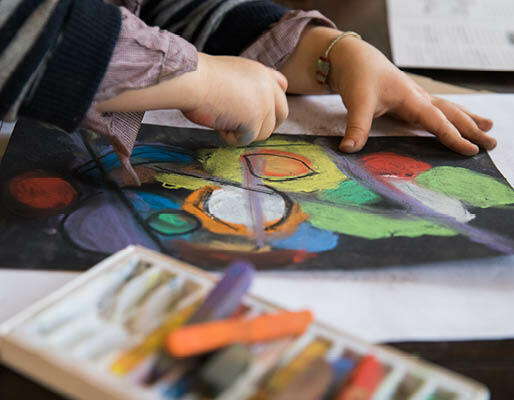 Children embrace a process-oriented approach to the arts, where they create for the sake of creating… Even though each LoLA box explores real art techniques (such as still-life), it emphasises that there is no “wrong” way for these skills to be learnt.